This is the x-ray of a 2year old child who presents with anorexia, vomiting and poor weight gain. Write the findings on this x-ray. What will be the presenting feature of this condition in an infant? Name the neurological complication that occurs in this condition. Mention one close differential radiological diagnosis. Name 2 skin changes that is commonly seen in obese children. Name 4 common comorbidities seen in pediatric obesity. Type 2 DM, Hyperlipidemia, hypertension, NAFLD. What is the mode of inheritance ? Give the key laboratory findings in this condition. Without alopecia – extremely high doses of vitamin D2, 25- D2 or 1,25 D. (partially functional receptor). If no response to high-dose Vitamin D – long term IV calcium, later high dose oral calcium. Name the common inciting agents for this condition. Name any 2 important predisposing conditions. Name the drugs used in the management of this condition. A 6hrs old term neonate has prolonged bleeding from umbilical stump. PT is 24 seconds and PTT is 50seconds. Platelet count is 3lakhs/cumm. Sepsis screening is negative. Mention one important antenatal history that you will elicit. What are the X-ray findings seen in this condition? What are the skin changes seen in this condition? Write the 10 steps for successful breast feeding. Write the BV and NPU of egg and cow’s milk. This infant is under evaluation for chronic diarrhea. What is it due to ? How will you detect in its early stages? How do you treat ? A 8months old infant with history of recurrent diarrhea and poor weight gain is brought with complaints of loose stools for a day. On examination, infant is lethargic, pale, undernourished with weight of 4kg. Edema is present. Oral mucosa is dry. Pulses are feeble. 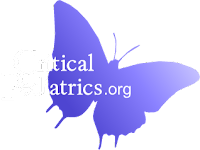 What is the recommendation regarding initial fluid management in this infant? What is the recommendation regarding blood transfusion in this infant? What is the type of ORS that can be used in this infant and how to prepare it? A mother brings her 4months old infant to well baby clinic. How would you counsel her regarding complementary feeds? Nutrient content – rich in micronutrients, avoid drinks with low nutritive value, add nutritional snacks like fruits, bread in between. 30-45% fat content, add oil. Feeding during and after illness – increased fluid intake during illness, frequent breast feeds. As per WHO 2013 guidelines, mention the criteria for diagnosis of SAM in children <6months of age and in children between 6-59months of age. Name the diet that is recommended during the stabilization phase in SAM. Write the caloric and protein content. Name the diet that is recommended during the rehabilitation phase in SAM. Write the caloric and protein content. This is the x-ray of a 4year old child who presents with easy fatiguability, easy bruising, limb pain and progressively increasing abdominal distension. What is the finding on this x-ray? What will be the bone marrow finding in this child? This is the EEG of a child who is under evaluation for suspected Neurodegenerative disorder. At what stage of illness does this EEG pattern occur? Other than the compatible clinical course, what are the 3 supportive findings that are used in diagnosis of this condition. 5 years old girl has presented with breast enlargement for the past 1 year. Her height has increased from 95 to 106 cm in the last 1 year. The SMR staging is breast stage 2, axillary hair- stage 1 and pubic hair stage 1. X-ray bone age is consistent with age standard of 8 years. Investigations show FSH 4.6 IU/L (normal < 1.6), LH 0.5 IU/L (Normal < 0.1 ) 17 β- estradiol 25 (normal < 10). What further investigations are required to confirm the diagnosis? Name 5 clinical pointers to differentiate true precocious puberty from premature thelarche. 10 weeks old male baby is admitted with seizures. Blood glucose at the time of admission was 22 mg/dl. Baby was treated with IV glucose infusion. Two subsequent blood glucose measurements are all less than 30 mg/dl. What immediate management is required? What investigations are required at the time of hypoglycaemia? The insulin level is 27 (normal 0-10). Describe further management options. Hyperinsulinism, Fatty acid oxidation defect. 7 yr old girl from Delhi brought with complaints of FTT, recurrent diarrhea and pallor. Clinical examination reveals clubbing and generalized abdominal distension. Most probable diagnosis in this child? What serological tests may be useful? An 8 mth old female infant. Referred for evaluation of large head size. She is the first born of second degree consanguinous parents. MRI brain revealed- macrocephaly,dilated lateral ventricles,cortical atrophy & atrophy of striatum. What special diet will you advice ? What is the estimated average life span of this condition ? Counsel parents of a 2months old infant with meningomyelocele. Folate supplementation during next pregnancy. 1month prior to conception till the end of first trimester. Regular USG during next pregnancy.